Buy Natures Aid Organic Avocado Oil 250ml in the UK from our online shop or directly from our independent Scottish store. Natures Aid Organic Avocado Oil is produced from unrefined, cold pressed, Kenyan avocados to add a rich, smooth flavour to your favourite dishes. Quick to prepare and very refreshing, the tofu in this recipe will help to keep you cool on a sunny day. This recipe contains 4tbsp Clearspring Avocado Oil. Where can you buy real Organic Avocado Oil safely online? If you are wondering where you can buy Natures Aid Organic Avocado Oil 250ml safely online in the UK, then shop with us. 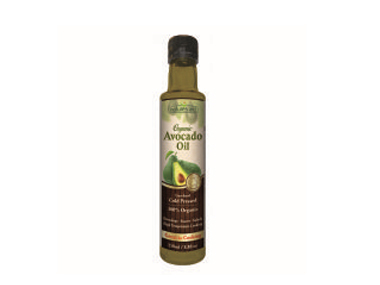 Organic Avocado Oil - Natures Aid Organic Avocado Oil 250ml in Cooking Oils and Cooking Oils & Vinegar.